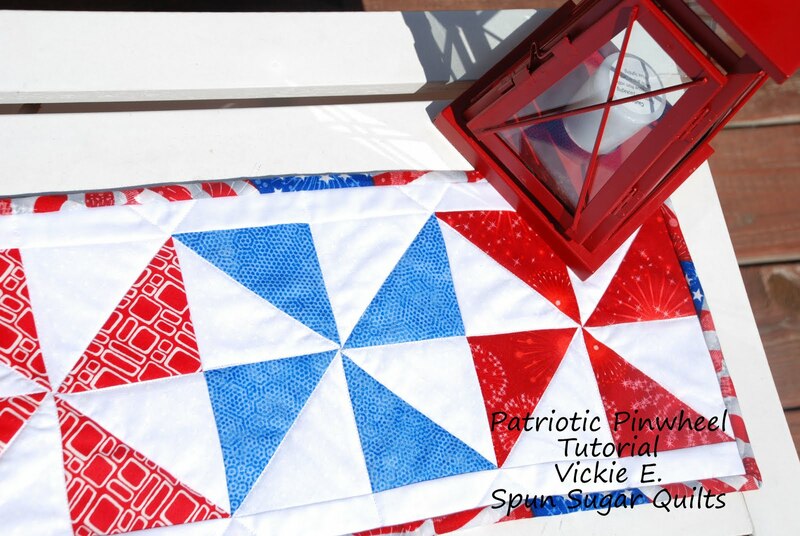 Spun Sugar Quilts: looking for 4th of July projects? I love the table runner - I think I will try that one. And the pincushion is so cute!!! Hm, I will have to try the recycled fillers. Sounds interesting. Wonderful projects. Your decorations are looking great. I will need to get to the RWB decorating - after Father's Day!!! Smart pillow innards! 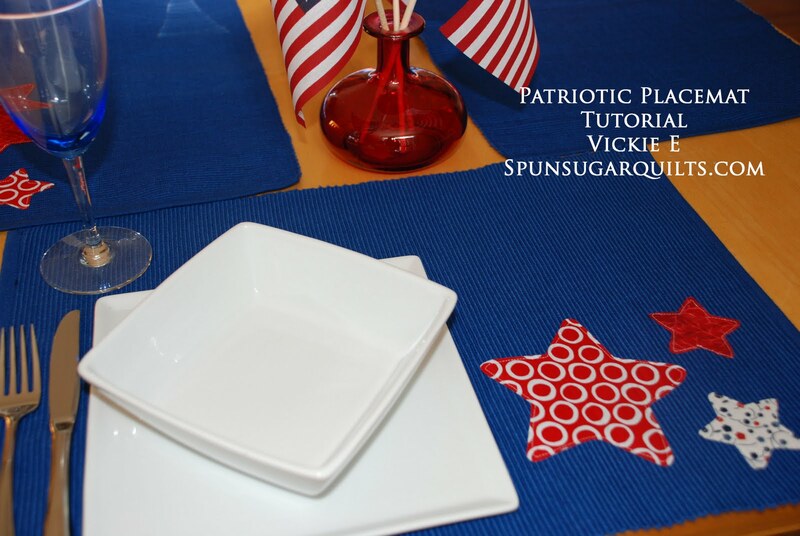 I don't decorate for the 4th but I could make a pinwheel table runner in RWB. I think I may just do that. I think I am gonna do the table runner! I love it!! !